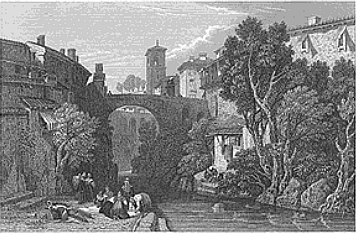 This Italian Meastro was born In Ivrea on June 4, 1768. His father Giuseppe Ignazio was also a musician, an oboist in the service of the Piedmontese troop band. Francesco followed his father in choosing a military career, at the age of 15 years he joined the Piedmont Regiment as a volunteer, thereby also learning his father's instrument, the oboe. He also became acquainted with the rudiments of music. He also undertook training training on the viola, and by the age of 18 years he was active as a violist in the orchestra of the Royal Theater of Turin. 4 years later in 1818 Francesco Molino made his way to Paris, where he presented himself as a string player, however he was also entering the world of the guitar. Ferdinando Carulli and others had built a considerable culture of guitar playing in the French capital and it was into this established tradition that Molino began to work. He built a successful career for himself counting amongst his guitar students members from the highest strata of Parisian society, and attracting the admiration of others such as the Duchess of Berry, who was also a student of Molino. 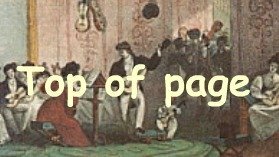 The bulk of his guitar compositions were published during this "Paris" period from 1820 to 1835. 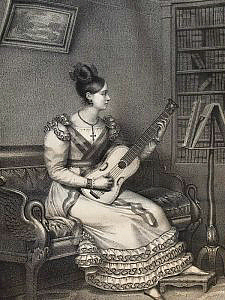 The guitar suffered a decline in popularity around 1840, and this is reflected in the fact that Molino's later compositions were for violin. He died in Paris in 1847. In total Molino penned sixty guitar works. His Method set out new concepts in guitar technique and achieved a substantial success. Other mentionable pieces include his brilliant Sonata, Op. 51; a series of chamber trios and nocturnes for guitar and flute duet; and his Op. 56 Concerto for guitar and orchestra. Rudolphe Keutzer, the virtuoso violinist and composer dedicated his Second violin concerto for Violin and Orchestra, Op. 25 to Molino with whom he had a deep friendship. Famously one Charles de Marescot caricatured this difference of opinion in his book La Guitaromanie, in which there appears a hilarious image depicting a "discussion" between supporters of the two camps of teaching. 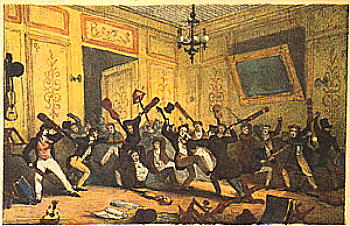 The guitarists are seen to be having a heated exchange, using their Lacote guitars to waylay their opponents opinions in a most vigorous manner! The picture is labeled "A discussion between the Carullists and the Molinists" ! .